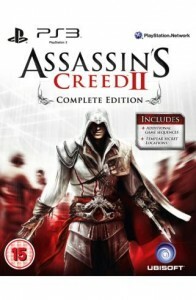 It seems several UK retailers are listing an Assassin’s Creed II Complete Edition for release on June 4th. What makes it “Complete” is apparently the inclusion of the two DLC packs and the secret location that were previously only available to Uplay subscribers. I’m guessing this is probably the same thing as the previously rumored “Game of the Year” Edition.